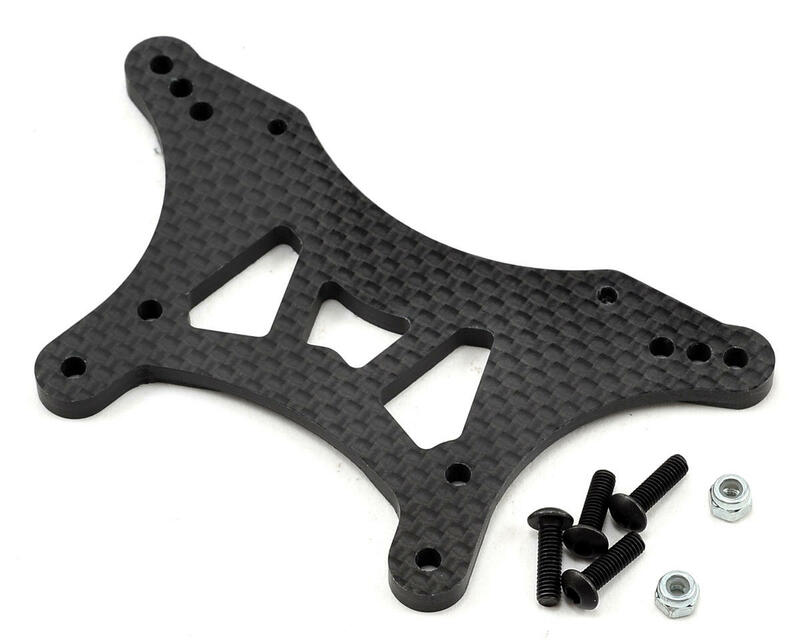 This is an optional JConcepts TLR 22T/22 SCT 4mm Front Carbon Fiber Shock Tower. 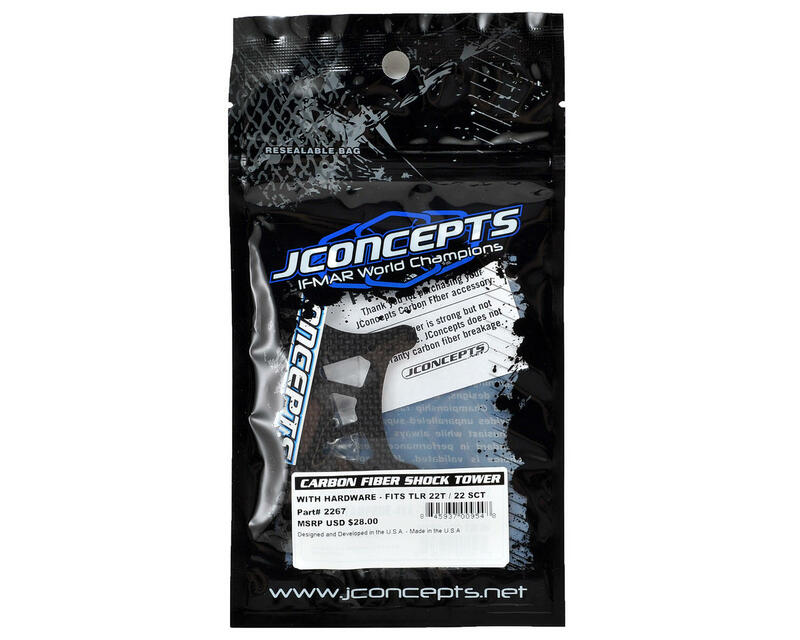 Back in the design lab, the JConcepts team went to work with 4mm Carbon Fiber material to better outfit and shed some weight from the TLR 22T and 22SCT. The design team has pin-pointed the exact geometry locations of the front shock tower and designed a durable and lightweight option part that is a direct bolt-on for the front-end. The shock tower is 4mm thick and features all the stock mounting geometry in a more compact package. Reinforcement ribs have been added where needed for additional strength, while mounting hardware has been included for a secure hassle free attachment. This is another very nice performance option for the 22SCT. After installing this product, I can tell a difference in the weight bias from front to back. I just wish JConcepts made a rear CF tower for this truck so that I could lower the CG.